The New York Times has published a video of Pamela talking with James (“Maximum Ride”) Patterson and Rick (“Percy Jackson and the Olympians”) Riordan about how to get kids, especially boys, to read. This entry was posted in pamela on August 19, 2011 by stern. 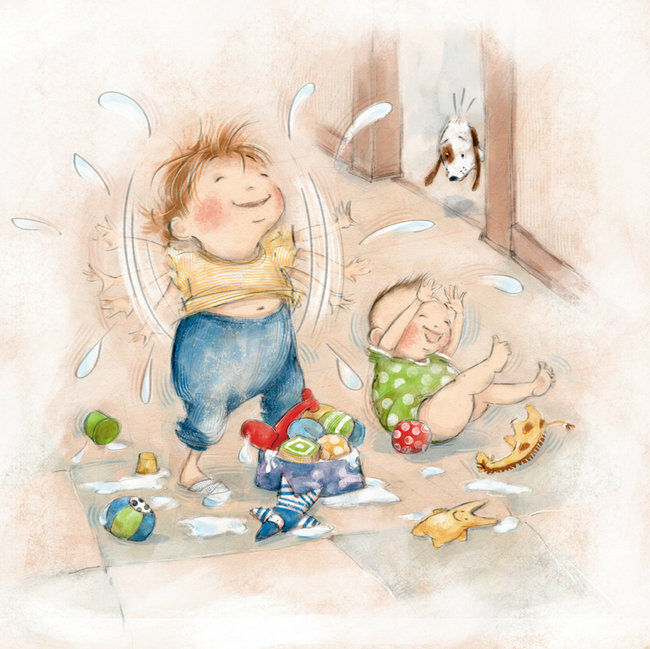 Pamela reviews picture books on sibling rivalry over at the New York Times. Lots of cute pictures, if that strikes your fancy. This entry was posted in pamela on August 17, 2011 by stern. Pamela has written almost countless pieces in the last month or so. I will call out two — a piece in the New York Times style section about the death of the telephone that got massive attention (magazine articles, radio, television, etc. ), and a piece in today’s paper about recent research that older parents are happier than younger ones. The study does not reveal whether this is because they have achieved a state of zen about the inconvenience of children, or whether it’s because as you get older, the kids graduate from school and move away. This entry was posted in pamela on April 8, 2011 by stern. The word is officially out, Pamela is now an editor of the New York Times Book Review. This entry was posted in pamela on January 21, 2011 by stern. Those were all for The New York Times. She also had a couple of columns in Worth magazine, including this one, about instilling a sense of charity in your child. This entry was posted in pamela on January 18, 2011 by stern.